Perched against the undulations of eastern ghats, Araku happens to be a picturesque tribal haven. Its compelling rendition of the tribal culture invariably attracts every wandering soul visiting Vishakhapatnam. With the advent of a plethora of tourism agencies in and around Vizag offering myriad Vizag to Araku Tour Packages by road and rail, this incredible tourist hotspot experiences landslide footfalls each year. 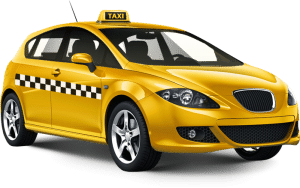 Sensing the pulse of budget travelers, we at Wifi Cabs present before you Visakhapatnam to Araku taxi service at incredibly reasonable rates. Our fleet of niche vehicles offers you a comfortable ride across the distance, through the winding bends, inspiring an experience of a lifetime as you scale the chilling steepness from the windy sea level. Calender day means 5:00AM TO 11:00PM. While Clymbing Hills A/C Will not function on ghat road. A/C will function on running time only. not in parked times.